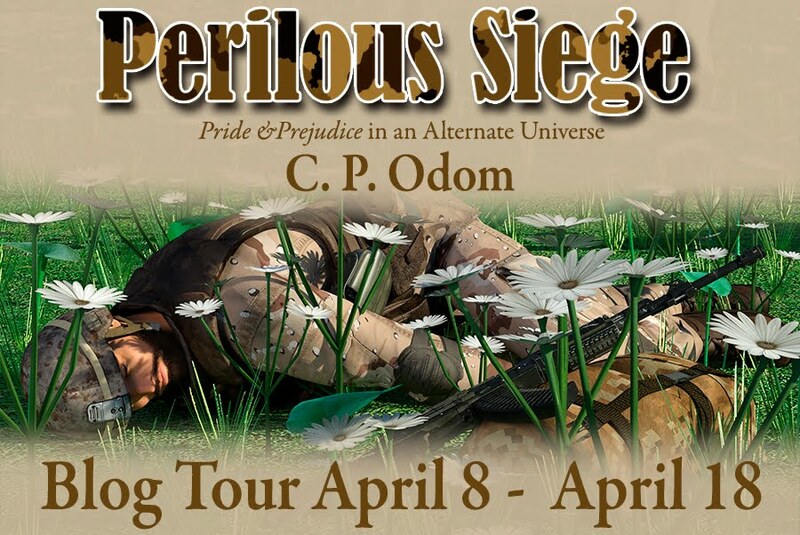 Today I'm welcoming author C P Odom back to the blog with his latest Pride & Prejudice-inspired book Perilous Siege. 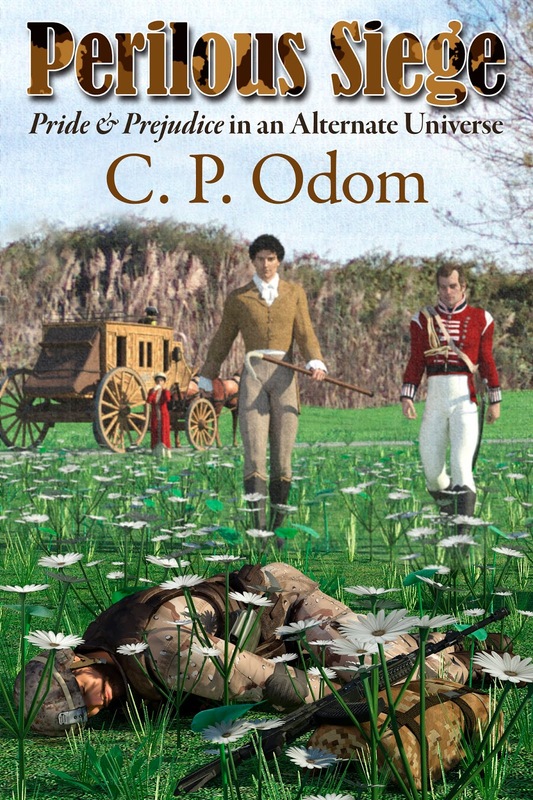 C P Odom's previous books have been set in Jane Austen's time, and so is this one, though it has a modern element too - let's have a look at the blurb and then I'll hand over to the author for him to introduce a lovely, long excerpt. There's also a chance to win a copy of the book! Read on for more details. 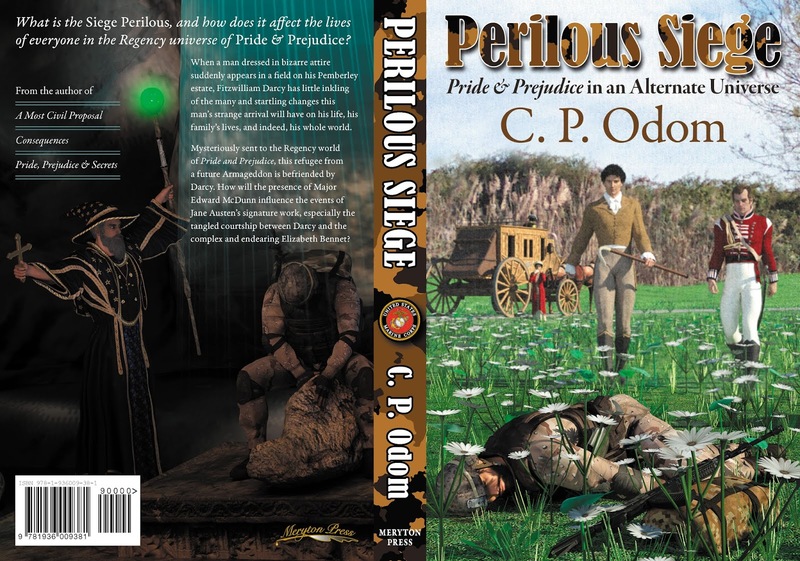 What is the Siege Perilous, and how does it affect the lives of everyone in the Regency universe of Pride & Prejudice? When a man dressed in bizarre attire suddenly appears in a field on his Pemberley estate, Fitzwilliam Darcy has little inkling of the many and startling changes this man’s strange arrival will have on his life, his family’s lives, and indeed, his whole world. Mysteriously sent to the Regency world of Pride and Prejudice, this refugee from a future Armageddon is befriended by Darcy. How will the presence of Major Edward McDunn influence the events of Jane Austen’s signature work, especially the tangled courtship between Darcy and the complex and endearing Elizabeth Bennet? Thank you Ceri for welcoming me to your blog, Babblings of a Bookworm. Claudine, the blog organizer for the Perilous Siege blog tour, suggested one of the excerpts from my book ought to be on the humorous side. This is the one I picked, and it takes place several months after Major McDunn materializes in mid-air a couple of feet above a field in Darcy’s Pemberley estate. I was trying to portray how well the small group of Regency characters got on with McDunn, since Jane Austen said that Darcy was supposed to be amiable with those with whom he was on close terms. However, she doesn’t really give us any real demonstrations of that amiability in Pride and Prejudice, so I kind of had an open field in which to portray that. Naturally enough, I drew on my own experiences with close friends and colleagues over the years, from the kids I played sports with in high school to my comrades in the Marines to the people I associated with during my working years (from work, from church, from the Boy Scouts, etc.). Many of those (but not all, by any means) were men, since sports teams and the military, as well as the engineering profession, were mostly masculine enterprises. It changed at work somewhat, as more females became engineers, and four of the last five bosses I had before retirement were females. Far better is it to dare mighty things, to win glorious triumphs, even though checked by failure...than to rank with those poor spirits who neither enjoy much nor suffer much, because they live in a gray twilight that knows not victory nor defeat. “Whatever,” responded McDunn, clearly less than convinced, and both his tone and another of his Americanisms brought a laugh from the other three. “And rule number two?” McDunn asked suspiciously. “Follow rule number one,” Fitzwilliam said, cracking not even a hint of a smile. Darcy gave a bark of laughter, but McDunn’s response was a groan. “That’s now. Smoothbore muskets are wildly inaccurate except at very short range, but it’s going to change in the not-too-distant future. McDunn’s eyes glazed over as Fitzwilliam pointed out the various parts of the saddle, and he stifled a yawn when Fitzwilliam moved on to other salient points such as mounting, correct posture astride the horse, use of the reins, starting and stopping the animal, and dismounting. 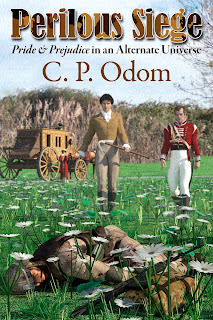 The cavalryman was just warming to other less critical topics when McDunn held up his hand. “But do you not find the topic interesting?” Fitzwilliam asked in genuine surprise. “Very well,” Fitzwilliam said. Then, unable to hold back any longer, he pointed at the clothes McDunn wore and burst out laughing. “Oh, Major, you are so amusing!” Georgiana said lightly. Somehow, this just made all three—especially Georgiana—laugh harder. At last, when the merriment subsided, McDunn pointed to his feet. “—an American,” all three finished for him in unison. “What, pray, is that on your head, sir?” Darcy asked. McDunn took off his camouflaged USMC soft hat, which bore a certain resemblance to the caps used by baseball teams in his time. He had found it among the items in his pack when he did his inventory. “I have not a clue,” Darcy said, attempting to control his expression but having to forsake the effort as the other three laughed. “I am sure you will do well today!” Georgiana said with certainty. McDunn was surprised at how much more he could see. He was so used to seeing everything from the vantage of an infantryman that the different aspect from the back of the horse made him understand why officers in the armies of 1809 always wanted to view the ground while mounted. And though the motion of his horse was initially disconcerting as the three of them left the stables, it was not as disturbing as he had anticipated. Later on, he found Fitzwilliam had been correct about a trotting horse. A trot felt like someone was pounding a hammer up the line of his spine. He was relieved when Fitzwilliam told him to kick his horse up to a canter. That was much better, though they only maintained the pace for a minute or so before dropping back to a walk. The lesson continued for another hour, moving through various elements of riding, before they turned for the house. For McDunn, the biggest surprise came when he dismounted. “I hope so,” McDunn said, trying to stretch out those muscles that hurt but quickly giving up the effort since stretching just made the pain worse. Fitzwilliam only nodded and smiled. The others looked at him with interest since he had spent the last several days deep in research. “I have, but I reiterate I will only be making a suggestion, not a command decision. I need the agreement of my partners. Georgiana nodded, though the nod seemed a bit dubious. Darcy and his sister found McDunn’s door already open and both McDunn and Fitzwilliam holding glasses half-filled with Scotch. Darcy shuddered at the thought that not only had his cousin been corrupted into trying it, but he was beginning to show a real preference for the drink. Darcy could only shake his head in bemusement. He said as much aloud, and both McDunn and Fitzwilliam chuckled. “You only think they don’t, Fitz,” McDunn said. “I understand George Washington owned a distillery, and he pretty much gave you Brits everything you could handle a few decades back,” McDunn said. “Of course,” McDunn said, thinking Winston Churchill would have been appalled to see his country reduced to what it had been in 2045. “Well, that Washington fellow was rather stalwart too, even if he did own a distillery,” Fitzwilliam said. “I do not understand how you can be so casual about a war,” Georgiana said, rather anxiously. He went on to explain how the telegraph system he envisioned would work. It would use only a single copper wire with a telegraph key sending pulses by means of a simple but effective battery that historically would not be invented until 1860. It would also use electromagnets—not invented until 1824—at the receiving end to produce clicks an operator could hear. He also described how the clicks could be formed into a code for the letters and numbers. “Do you understand any of this, Darcy?” Fitzwilliam asked. “Be patient, Richard,” urged Georgiana. Fitzwilliam groaned at this, so McDunn only grinned before continuing. “Whatever,” Fitzwilliam said with a depth of feeling that had everyone laughing. After everything was explained, questioned, answered, and a consensus reached, Georgiana held up her hand. Georgiana still did not look completely satisfied, but McDunn was glad to see her brows unknit as she gave him a sheepish smile. “Perhaps you could clap her on the shoulder, Yank,” Fitzwilliam said, only to have to leap from his chair as Georgiana flew after him. Luckily, he was able to get the door open before she could catch him, but she was still in hot pursuit, and the sound of their running feet receded down the hallway. Darcy was so startled by the comment he forgot to ask what a “movie” was. He looked at McDunn intently for several moments since he had actually mused a time or two that McDunn himself might make a good match for his sister. At last, he relaxed and leaned back in his chair, looking at McDunn thoughtfully. By training, I’m a retired engineer, born in Texas, raised in Oklahoma, and graduated from the University of Oklahoma. 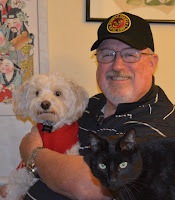 Sandwiched in there was a stint in the Marines, and I’ve lived in Arizona since 1977, working first for Motorola and then General Dynamics. I raised two sons with my first wife, Margaret, before her untimely death from cancer, and my second wife, Jeanine, and I adopted two girls from China. The older of my daughters recently graduated with an engineering degree and is working in Phoenix, and the younger girl is heading toward a nursing degree. 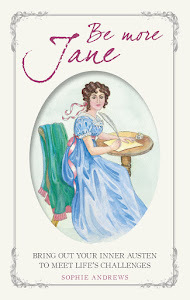 I’ve always been a voracious reader and collector of books, and my favorite genres are science fiction, historical fiction, histories, and, in recent years, reading (and later writing) Jane Austen romantic fiction. This late-developing interest was indirectly stimulated when I read my late wife's beloved Jane Austen books after her passing. One thing led to another, and I now have three novels published: A Most Civil Proposal (2013), Consequences (2014), and Pride, Prejudice, and Secrets (2015). My fourth novel, Perilous Siege, should be published in the second quarter of 2019. 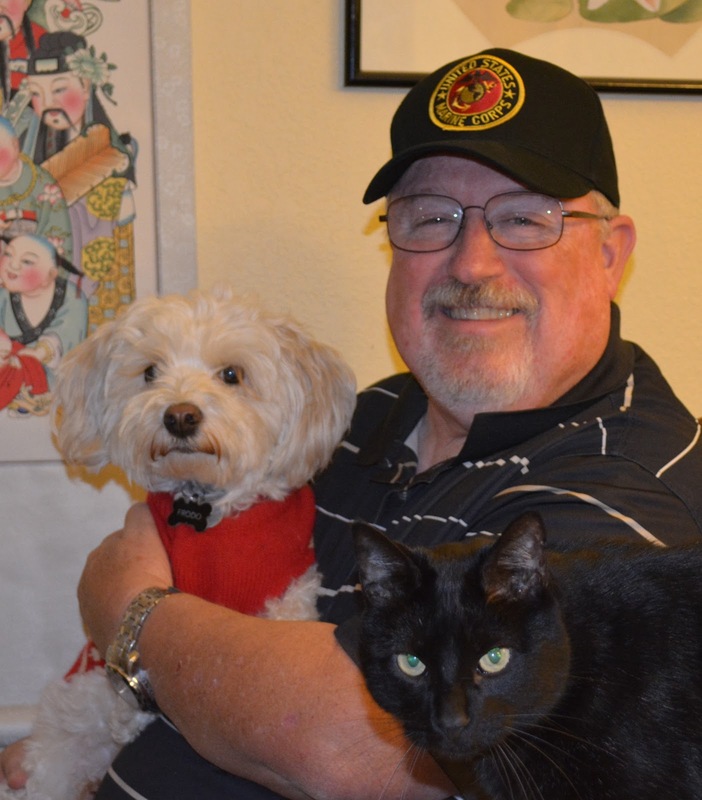 I retired from engineering in 2011, but I still live in Arizona with my family, a pair of dogs (one of which is stubbornly untrainable), and a pair of rather strange cats. My hobbies are reading, woodworking, and watching college football and LPGA golf (the girls are much nicer than the guys, as well as being fiendishly good putters). Lately I’ve reverted back to my younger years and have taken up building plastic model aircraft and ships (when I can find the time). 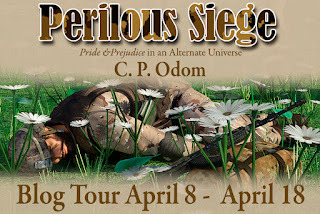 Meryton Press is offering eight eBooks copies of Perilous Siege. The giveaway runs until midnight, April 21, 2019. Readers may enter the drawing by tweeting once a day and daily commenting on a blog post or a review that has a giveaway attached for the tour. Entrants must provide the name of the blog where they commented. If an entrant does not do so, that entry will be disqualified. One winner per contest. Each winner will be randomly selected by Rafflecopter and the giveaway is international. Check out the other stops on the blog tour! Remember, you can have more chances to win the more blogs you visit. If you'd like to be friends on Goodreads then please invite me - just say that you visit my blog when it asks why you'd like to be friends with me. Congratulations on your newest release! I did recognize a few modern words but one that did jump out “whatever”. Darcy and the Colonel probably think he’s a bit odd and not sure what that word means. Thanks for stopping by. As for "whatever," my daughters used it often to me, usually rolling their eyes, when I wanted them to do something like taking out the trash. It had to be said with a certain inflection, leaving the impression that I was asking the impossible! Enjoyed the excerpt, so funny. Thanks for the chance to win a copy. Thanks for stopping by. As for the size of the horse, McDunn had virtually no experience with them in his time, and they are really LARGE to the uninitiated. My wife rode in her younger years, and she had to use a step to mount. And she took a fall or two. Very scary, as she told me. Nice excerpt! I'm curious why McDunn says that "We *have* to succeed at this." What's the impetus? It's from a previous part of the book, when Darcy offers to help McDunn financially. McDunn feels he has to succeed so he won't waste the money of his new-found friend. Well, wes-kit was the pronunciation the internet gave when I looked it up. It's all academic to this boy from Texas. We didn't wear either waistcoats or wes-kits! How would you say it ought to be pronounced? Wow, another extra long blog contribution to be sweet to your readers, Colin. Your dialogue flys! Talk about action! Fantastic read. Thank you so much, and thanks also to Ceri for hosting. I was trying to cut it down in size, but I decided not to do so, since there weren't any spoilers in the chapter. Thanks for your kind words. Tomorrow's blog stop includes a vignette at the Pemberley ball that felt the bite of the editing ax when I went in a completely different direction. So it's a scenario that never-was! I can appreciate his feelings about the trot! Congratulations! Look forward to reading this and thank you for a chance at the giveaway! I spent my early years on a farm, and I remember how uncomfortable the trot was. And I was only 13! One of the reasons I got an engineering degree was so I wouldn't have to go back to the farm! It HURTS when a cow or horse steps on your foot! Ceri, thanks for hosting me today on your blog. Managing a blog like this has to be a lot of work, and you deserve a pat on the back. Good comments by your readers, too, and they were very nice. And thanks again to Claudine for arranging everything. I remember being so sore the first several times I rode. LOL Fun excerpt getting to know the four as friends. In the book, McDunn is sore after his first riding lesson, despite having resumed running three miles a day. He's shocked at being so sore, but riding uses different muscles. As for me, I LIKE riding in automobiles (actually, I drive a full-size pickup truck!). I did NOT want to make a living as a farmer! Far too much work! This is certainly different. Thanks, Ceri for hosting. Thanks to our author for the generous giveaway. I'll have to defer the credit to my publisher, Meryton Press. They came up with the giveaways as a standard way to stir up interest in the readership. As for "different," as you described, Perilous Siege is a break (of sorts) for me. My previous three novels have been more in the "What If" category, in which I took a coincidental event in P&P and went in a different direction. This one involved injecting a new and radically different character into the mix, stirring well, and baking for, oh, the several years it took me to finish this one! Really unique. I liked the relationship between the canon characters and McDunn very much. I really wonder where this story is going! Thanks for a chance to win - sounds intriguing.